SACRAMENTO, Calif. (CN) – As another spring storm blanketed the Sierra Nevada with feet of fresh powder, state officials said Thursday the 2016-2017 winter is officially the wettest on record for Northern California. 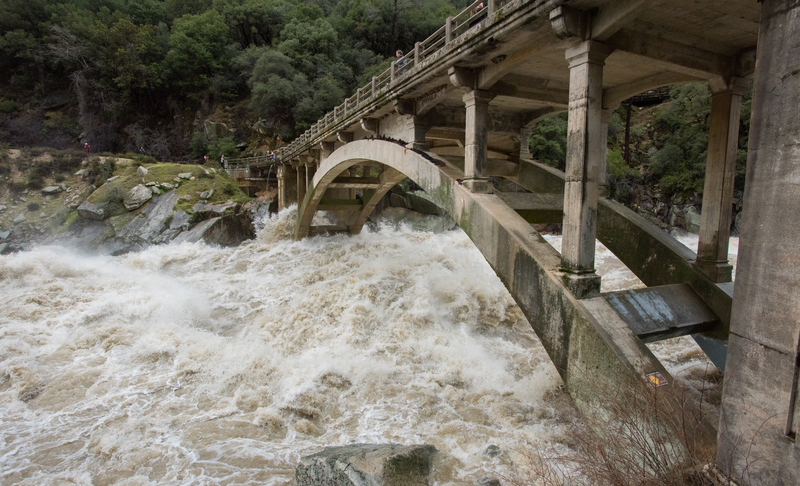 The California Department of Water Resources said the latest storm pushed precipitation totals at eight northern Sierra survey sites above 89 inches since October, eclipsing the previous 88.5 inches measured during the 1982-1983 season. The eight weather stations, which stretch from Shasta Lake south to the American River basin east of Sacramento, have been measured by the department since 1920. The milestone comes a week after California Gov. Jerry Brown ended the state’s three-year drought emergency and two days after Central Valley farmers were given their full water allocations for the first time in over a decade. This winter’s massive precipitation totals have been fueled by a steady stream of atmospheric rivers or “pineapple express” storms. According to the department, the West Coast experienced 46 atmospheric-river events since October. Meteorologists describe the moisture-laden Pacific storms as long “rivers in the sky,” typically saturating California with 30 to 50 percent of its annual rainfall. In February, a series of potent atmospheric rivers caused widespread flooding and hundreds of millions of dollars in damage to the nation’s tallest dam at Lake Oroville. Storms obliterated the dam’s main spillway and officials were forced to send water over an untested spillway for the first time in the dam’s 48-year history. The bountiful snowpack is threatening to melt and send more water into Lake Oroville and with more stormy weather predicted this weekend, officials on Friday sent flows down the hastily patched spillway for the time in over two weeks. The department says releases down the spillway could last up to two weeks as they attempt to make room for spring and summer snowmelt. Other California regions are also approaching precipitation records. The San Joaquin index is currently 194 percent of average and has received 68.2 inches. The index’s annual average is 40.8 inches. Further south, the Tulare Basin index is at 178 percent of its historical average.